There is no question that welding is a trade that requires a high level of skill. As a result, when you enter this profession, it is essential that you fully understand proper safety precautions to protect yourself and your colleagues. This is especially true if you are welding in confined spaces. Below you will find the most important safety issues that you should know regarding welding in tight spaces. If you weld with a MIG, TIG or FCAW welder, shielding gases are being released. These can be argon, helium, nitrogen, or an argon-based mixture containing carbon dioxide, oxygen, or both. In a confined space, these gases can fill up the room quickly, potentially resulting in asphyxiation as the oxygen supply is diminishing. Argon, for example, is heavier than air, so it will tend to collect in low areas like pits. Wearing a respiratory aid is often essential when air quality suffers in confined spaces. Moreover, it is essential that you properly ventilate any area1 where you will be welding. This can be done by opening a door or window, or by turning on an exhaust fan where you will be working. If there is no way to ventilate the confined space where you are going to be working, then do not attempt to weld anything in the confined space. Another risk factor that you face when welding in a confined space is that someone will fall into the area where you are working. This can cause injuries to the person who fell, as well as to yourself. You should put some type of guard up to prevent any potential accidents. This protects anyone who may be in the area where you are welding. In addition, accidents may also involve elevation equipment such as ladders, scaffolds, and aerial lifts, which can often be serious or even fatal. While modern welding technology can minimize risks of welding in a confined space, you should keep in mind that if you are injured in a location that is hard to access, you may not be able to receive medical treatment as quickly as in a place that is easily accessible. This is why it is essential that you wear all the required safety gear. Moreover, if you are going to be welding in a lower location, you should use a hoist or some other device that will allow you to be lifted quickly in the instance of an accident. Perhaps one of the most dangerous risks you face when welding in confined spaces is that a fire may break out and you will not be able to escape. As confined spaces have minimal ventilation, flammable gases can accumulate quickly. You can diminish this possibility by removing any torches from the area when they are not being used. This will greatly reduce the fire hazard fire and minimize the chance of severe injury or death. When you follow the proper safety precautions and use common sense, you can decrease health risks significantly. Take time to get to know the devices you are using and how to use them properly. Also, ensure that you have all the proper safety gear, such as respiratory aids, eye and ear protection, and protective clothing, in place prior to entering the confined environment where you will be welding. 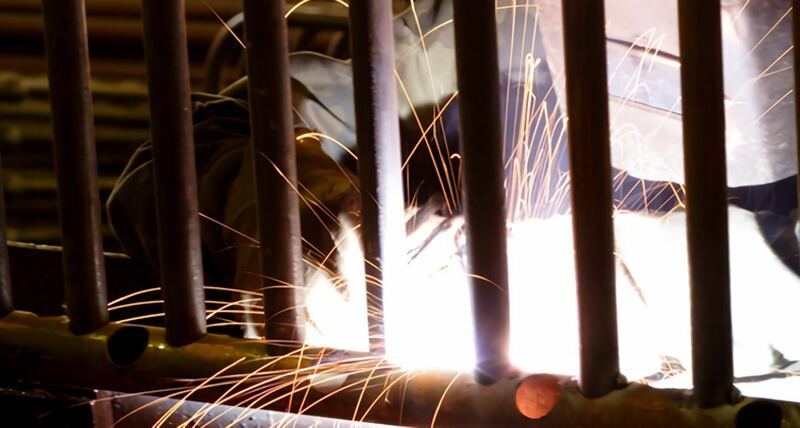 Safety is a high priority in TWS’ welding programs, no matter which skilled trade students chose to pursue. If you are interested in an entry-level career in welding, pipefitting, HVAC/R or electrical welding, contact our staff today.